July 12, 2018 – Jane Biehl, Ph.D. Targeted drugs are controversial in early-stage kidney cancer, but play a more important role in treating advanced disease. When Gary Hartstein found blood in his urine in January 2017, he was alarmed, especially when he had difficulty urinating. Within a week, the urologist at his local New Jersey hospital ordered a CT scan and found a racquetball-size tumor. During surgery, the doctor removed Hartstein’s kidney and the 9-centimeter mass and found that the tumor had been pressing into blood vessels, causing clots. Pathology revealed renal cell carcinoma (RCC). Hartstein was told his cancer was stage 3 and was relieved to hear that doctors had removed it all. Both his New Jersey doctor and another from New York City, who gave a second opinion, said there was nothing more to do. The 52-year-old nonprofit program manager was declared cancer-free. “There was certainly a risk of it returning,” Hartstein says, but the doctors told him there was no proven additional medical strategy to prevent recurrence or disease spread, and the standard of care was to monitor his condition. Less than a year later, in November 2017, the Food and Drug Administration (FDA) approved the first and only adjuvant, or post-surgical, maintenance therapy to help prevent recurrences of the disease: Sutent (sunitinib), a targeted drug for adults with a high risk of their cancer coming back after a kidney removal (nephrectomy). The most common treatment for early-stage RCC, a category that generally includes stages 1 through 3, involves removing part or all of the affected kidney and then monitoring for further signs of disease. The surgery can be curative if the cancer is restricted to the kidney. Giving Sutent as an adjuvant treatment, or safeguard against disease progression, is not a popular choice: Just one study showed it to be effective in prolonging the time without evidence of disease, also known as disease-free survival. There hasn’t been any proof yet that Sutent as adjuvant therapy extends a person’s life, known as overall survival. If there is a high risk of recurrence and the cancer is not metastatic, patients can consider entering a clinical trial testing other adjuvant targeted drugs, immunotherapies or both. Sutent and similar drugs can also be used by patients who, at diagnosis, have stage 4 RCC that is metastatic — it has spread to other parts of the body. For those who will not undergo surgery, the drugs may be given as a first drug to treat the cancer. To treat any sites of disease that remain after that, patients might get more Sutent or one of several similar drugs: Nexavar (sorafenib), Torisel (temsirolimus), Afinitor (everolimus), Avastin (bevacizumab), Votrient (pazopanib), Inlyta (Axitinib), Cabometyx (cabozantinib) and Lenvima (lenvatinib). The drugs work by interfering with the growth of blood vessels that feed tumors or inhibiting the activity of proteins that help drive cancer cell growth. Sutent does both. Known as a tyrosine kinase inhibitor, it blocks the activity of a protein known as VEGF, or vascular endothelial growth factor, and other proteins that transmit signals from different growth factors. But in recent big news, Sutent is showing promise as an initial treatment for most patients with metastatic kidney cancer — regardless of whether they’ve been deemed eligible for surgery. The CARMENA study revealed that patients with operable metastatic disease who took Sutent alone did not have worse longevity than those who underwent kidney removal and then took Sutent. That means that most surgery-eligible patients with metastatic disease can safely skip the procedure and simply take Sutent. This is likely to change the standard of care, which was previously informed by older data showing that nephrectomy improves survival in patients with metastatic disease, even though it doesn’t remove all disease. Hartstein learned that he had small lung nodules in June 2018, several months after his surgery. He had moved to Lakewood, Colorado, and continued to get baseline scans. His new doctor, who found the nodules, ordered a biopsy and confirmed metastatic cancer. Progressing from stage 3 to stage 4 is common for patients with RCC. A subset who have no evidence of cancer on initial CT scans just after surgery will later develop signs that can be seen via imaging. This likely happens because the cancer is at first microscopic, below the threshold for detection. “It takes about a billion cancer cells to make a 1-centimeter mass seen on a CT scan,” says Matthew Galsky, M.D., a professor of urology, medicine, hematology and medical oncology at the Icahn School of Medicine at Mount Sinai and director of genitourinary medical oncology at the Tisch Cancer Institute in New York City. It can take months to years for those microscopic cancer cells to be detected, and that’s why some doctors recommend that certain patients with a high risk of recurrence consider adjuvant treatment following surgery. Patients with the greatest risk of recurrences that are metastatic have tumors that are large, extend beyond the kidney or have spread to nearby lymph nodes, says Lauren Harshman, M.D., assistant professor of medicine at Harvard Medical School and co-director of the kidney cancer program and a senior physician at Dana-Farber Cancer Institute in Boston. Until recently, there was no FDA-approved drug for adjuvant RCC therapy in patients with earlier-stage disease, and even though Sutent got the green light, doctors say it’s not commonly given for that purpose. “The general level of enthusiasm for this in the community is not extremely high,” says Eric Jonasch, M.D., a professor in the department of genitourinary medical oncology at The University of Texas MD Anderson Cancer Center in Houston. Those who do take Sutent after surgery get the same one-year regimen that is given for metastatic treatment: 50 mg a day orally for four weeks on and two weeks off. “Whether that will be tolerable is a question,” Jonasch says. “If you look at the clinical trial data, you see that a significant number of individuals are reducing their dose or coming off.” That’s because of side effects, which can include diarrhea, fatigue, high blood pressure, hand-foot syndrome, mouth sores and gastrointestinal upset. Doctors may also hesitate to recommend Sutent in this scenario because just one clinical trial, S-TRAC, showed a positive effect. “S-TRAC is the only trial in the history of kidney cancer that showed a one-year improvement of disease-free survival versus placebo in very high-risk patients with stage 3 disease. It did not show an overall survival advantage, though the authors argue that the data need to mature,” says Chris Wood, M.D., deputy chairman of the department of urology in the surgery division at MD Anderson. Some researchers theorize that this type of adjuvant therapy works by slowing down already existing microscopic metastases, thereby delaying the diagnosis of progression, but with no prospect of improving survival. Many believe there’s a need for drugs that exert a greater impact on metastatic disease, suggesting that these medications would also work better as adjuvant drugs, generating more cures and longer life. Before the FDA approved Sutent, a survey by the Kidney Cancer Research Alliance asked 450 patients at all stages of RCC under what conditions they would use some kind of adjuvant therapy. The results, presented at this year’s American Society of Clinical Oncology Annual Meeting, revealed that 54.7 percent of respondents would be willing to take an adjuvant drug to delay or prevent recurrence — even in the face of toxicities: 24.2 percent only if there were a proven overall survival benefit; 16.9 percent if the drug was associated with moderate toxicity; and 13.6 percent regardless of toxicity level. Meanwhile, 28 percent of respondents said they would need more information before making a decision, 8.2 percent reported they would only use an adjuvant therapy if there was no toxicity, and 3.8 percent stated they would not use such a drug. On the other hand, Loughlin recognizes that, had she taken Sutent, her life might have been quite different due to side effects. “I’ve had two good years, where if I was taking Sutent, I might have had a different quality of life,” she says. Without a benefit in overall survival, and 30 to 40 percent of patients coming off Sutent early because of toxicity, doctors and patients should consider whether it’s the best treatment for them, says Harshman. It may be better to monitor the disease, treating just if the cancer recurs, which would avoid toxicity for patients who may never have a recurrence. Multiple clinical trials are looking at different targeted and immunotherapy agents as adjuvant treatments. “Adjuvant therapy has been the holy grail of kidney cancer research,” Wood says. Harshman agrees, noting that researchers have been conducting randomized trials of potential adjuvant RCC therapies for more than 30 years with little success. She hopes that will change with the PROSPER trial, of which she’s the principal investigator. Its approach is “adjuvant therapy with a twist,” she says, because it will give some drug therapy prior to surgery — a strategy that is novel in RCC but effective in other cancers, such as breast and bladder. Patients in the control arm receive surgery only, and those in the study arm receive doses of the immunestimulating therapy Opdivo (nivolumab) before kidney surgery and for nine months after. “(The agent) revs up cancer-fighting T cells while the tumor is in place, so they can better recognize the micrometastatic cancer once the primary tumor is removed,” Harshman says. Opdivo then continues to help the T cells propagate, so they can recognize and kill microscopic cancer cells that have spread outside the kidney and surgical field. Those with high-risk non-metastatic kidney cancer have a particularly compelling reason to consider enrolling in clinical trials of adjuvant therapies: “If their disease comes back, we don’t have many treatments for them,” Harshman says. Deciding on a treatment approach after a stage 2 or 3 RCC diagnosis depends on personal preferences, and patients need to be aware of each option’s pros and cons, according to Harshman. Adjuvant Sutent, she says, is for patients who are highly motivated to do everything they can. Those who don’t want intervention unless it’s absolutely necessary choose active monitoring with scans, with treatment given just if the cancer returns. “There’s a group of patients who say, ‘If there’s nothing proven in this setting and the potential (that) I may have been cured with surgery alone, I’d rather not proceed with anything,’” Galsky notes. Enrolling in a clinical trial of the newer immunotherapies is something of a risk, because there’s no guarantee of being placed in the treatment arm rather than the control (placebo or standard-of-care) arm. Still, this may be a chance worth taking, according to Galsky. “(Trials are) clearly the most important option in this setting right now, as we have gone decades without adjuvant therapies with a definitely proven benefit,” he says. The new class of immunotherapy drugs known as checkpoint inhibitors has benefited those in the metastatic setting and led to major changes in treatment; for a large portion of patients, they are better tolerated than VEGF tyrosine kinase inhibitors, he adds. However, it’s too early to predict any promise in the adjuvant-treatment clinical trials now in progress, says Jonasch, and results may be years away. In the meantime, the S-TRAC data on overall survival with adjuvant Sutent could mature and provide more insight. Given the controversy with adjuvant Sutent data, the lack of an overall survival benefit, and potentially significant toxicities that decrease quality of life, Harshman generally encourages her patients to pursue the ongoing clinical trials or close surveillance. Deborah Maskens of Guelph, Ontario, Canada, also has advice for patients with RCC who are making treatment decisions. 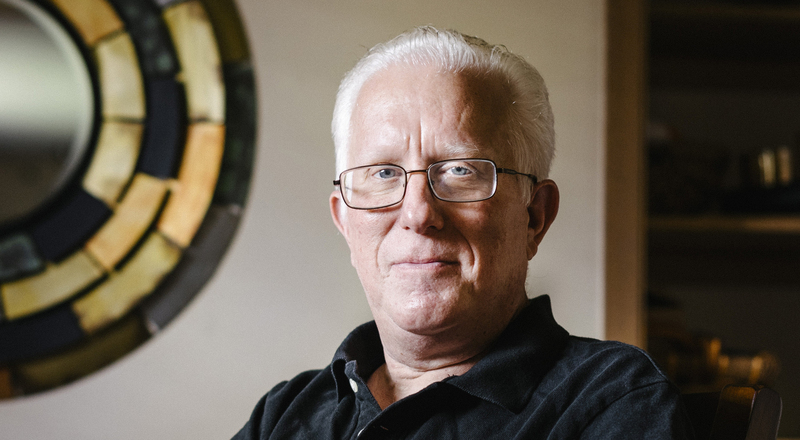 Diagnosed with metastatic RCC in 1996, Maskens is now a patient advocate. 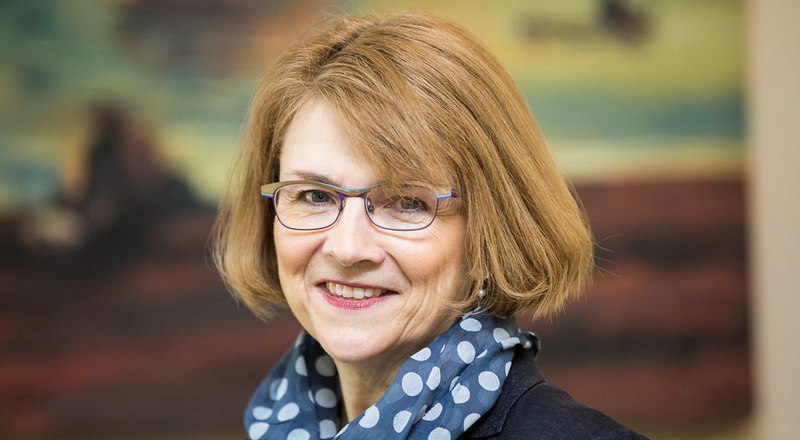 She co-founded Kidney Cancer Canada and is the only patient on the National Cancer Institute’s Renal Task Force. Maskens urges patients who worry about watching and waiting to not allow anxiety to shape their decisions, and, if necessary, to seek treatment for the distress. They should also look into their individual chances of recurrence and consider getting second opinions. After that, she says, patients can decide for themselves whether the potential side effects of treatment and the logistics involved with specific clinical trials are worth it. It’s a trade-off, she says, with no right or wrong answer. Sutent, meanwhile, seems poised to make its greatest immediate contribution to care not as an adjuvant treatment but as an initial one for those with metastatic RCC. The results from the CARMENA trial are making waves in the RCC community. The trial looked at whether to remove part or all of the kidney in patients with operable metastatic RCC at the time of diagnosis, before giving Sutent. In the study, 450 patients were randomly assigned to receive the medication either with no surgery or after nephrectomy. It’s the patients who are in fairly good health, with no metastases in the brain, liver or bone, who are typically considered good candidates for nephrectomy, but “CARMENA threw that into question,” Wood says. The trial showed that those receiving Sutent alone did not have a worse overall survival rate compared with those who had surgery and then Sutent. “The results were the opposite of what we all expected,” Harshman says. That’s partly because years ago, a trial in metastatic RCC evaluated interferon, an older generation of immunotherapy, with or without nephrectomy, Harshman says. That study’s results showed a six-month benefit to surgery plus interferon. 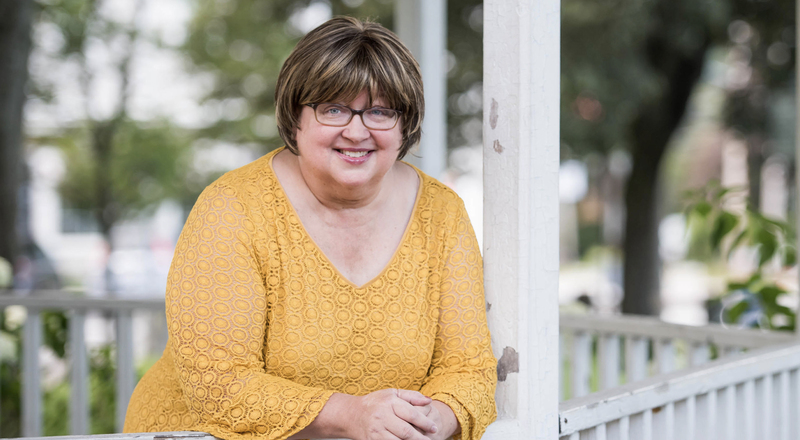 “Once we had the more effective targeted therapies, we still performed cytoreductive therapies (partial or total kidney removal), but without proof (that) it was still needed,” she says. Furthermore, historically, kidney cancer is one of the few cancers for which surgery is done on the organ despite the presence of metastatic disease, Galsky says. He compares it to fighting a forest fire and working hard to remove the tree that started the fire, rather than attacking the spreading flames. Metastatic RCC treatment is done this way for three reasons: The appearance of tumors on scans is so characteristic that biopsy and removal are done at the same time; based on the anatomy, the tumor is often large, but the metastatic burden is small; and symptoms may necessitate the removal of the kidney. The CARMENA trial diminishes enthusiasm for routinely removing kidney tumors, but Galsky says he still feels there’s a role for surgery in certain symptomatic patients. “That decision needs to be individualized,” he says, and Harshman, Wood and Jonasch agree. This was the case for William Feazel, whose metastatic kidney cancer was diagnosed in 2013, when he was 58. The civil engineer from Prairieville, Louisiana, had abdominal pain and a fist-size tumor on his right kidney causing thromboses, blood clots into the venal artery. “Because the mass was so large, it was working its way into the major blood vessel. It had to come out,” says Feazel. Not long before the CARMENA results came out, doctors had already begun to more carefully select patients with metastatic RCC for kidney surgery. Surgery should never be taken lightly, so it’s important to select patients who are likely to do well. Any surgery comes with risks; plus, it affects treatment timing. Patients have to heal from surgery and may end up waiting 30 or more days to start systemic treatment, knowing they have metastases. “How much those delays play into outcomes, I don’t know,” Galsky says. Whether a patient’s cancer is metastatic or not, at some point the disease could spread. Again, the best course of treatment is an individual decision. Loughlin is among those who like the idea of enrolling patients in studies. The online version of this article differs from the version that appeared in print. This version includes added details about a survey conducted by the Kidney Cancer Research Alliance, which more fully communicate its findings.